The saga of the Indo-Russian diplomatic relations goes back to the end of Second World War when India’s freedom struggle was in its final stage. The victory over German fascism, to which the Soviet contributed enormously, brought tremendous changes in the international arena, making Moscow a key stakeholder in global affairs. This also spurred the transfer of power from the British Raj to the leadership of independent India. India, therefore, always considered its ties with the Soviet Union special. After being released from a jail on June 15, 1945, Pandit Jawaharlal Nehru, India's first prime minister, was interacting with media persons in Delhi’s grand Imperial hotel. He looked around and asked if any Soviet correspondent was there in the press conference. When Oleg Arestov, the then TASS correspondent to India, was introduced to him, Nehru requested him to sit next to him on the same sofa. “I am glad that a soviet journalist is present in India during these historic days,” said Nehru, a gesture that underscored the significance he was attaching to the USSR in his foreign policy thinking. Nehru obviously had nurtured the hope that the TASS correspondent would convey the message to the Soviet government. He was clear in his mind that the establishment of diplomatic relations with the Soviet Union, that emerged as a strong power from the devastating war, would send signals to the members of the international community to recognise India’s independence. Both sides expressed complete readiness for establishing diplomatic relations between the two countries and decided to have further talks in this regard. The Soviet government sent a reply to Nehru in the beginning of October 1946, expressing readiness to promote friendly relations with India. K.P.S. Menon, who was part of the Indian delegation to the UN General Assembly at New York at that point of time, was instructed to hold further talks with Molotov, who was present there for an exchange of diplomatic missions between the two countries. In November 1946 Nehru declared in the Constituent Assembly of India that Molotov had confirmed his government’s desire to exchange diplomatic mission with India. The British government, scared of the establishment of diplomatic relations between Indian interim government and the USSR, left no stone unturned to prevent this from happening or at least delay the process as much as possible. Documents available in archives suggest that the movements of Krishna Menon and K.P.S Menon from the very beginning were placed under strict surveillance of the British intelligence. Even their correspondence with Pandit Nehru was intercepted. There were many events that facilitated close contacts and productive cooperation, leading to the establishment of diplomatic ties between India and the USSR in April 1947. The UN was a significant platform that brought India and USSR closer and led to fruitful cooperation between them on a host of issues. 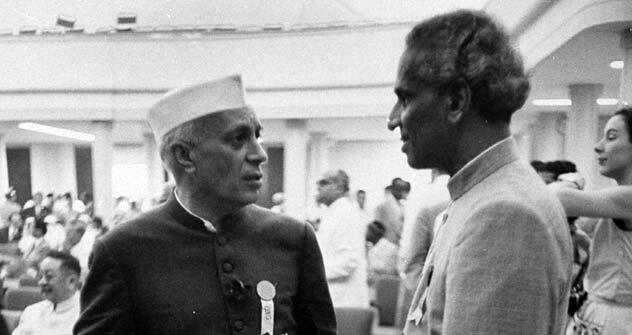 The Indian and Soviet delegations not only shared identical views on many important issues, but the Soviet delegation also used the debate for granting independence to India promptly. The Soviet government, on its part, tried to simplify the formal procedure for the establishment of diplomatic ties with India. Both sides agreed to issue simultaneous public statements for quick implementation of the agreement for exchange of diplomatic representatives between the two countries. Finally, diplomatic relations between the two nations were established formally on April 14 through the issuance of a joint communiqué. “To preserve and further strengthen the friendly relations existing between India and USSR the government of India and the government of USSR have decided to exchange diplomatic missions in the rank of embassy,” said the communique. The Soviet recognition had profound significance as it meant the Soviet recognition of India’s independence even before it was formally declared in August 1947. The USSR became one of the very first few countries to extend diplomatic recognition to independent India. Vijaya Lakshmi Pandit, who arrived in Moscow on August 9, 1947, a week before the declaration of India's independence, was accorded a red carpet welcome. The Indian embassy in Moscow was the interim government’s first diplomatic mission abroad. Though India had embassies in the US and China before this, they were considered as continuation of missions established on behalf of the British-Indian government. But the Moscow embassy became truly the first ever-diplomatic mission of independent India. The establishment of diplomatic relations no doubt heralded a new era in the history of friendly relations between our two great civilisations and peoples that opened flood gates for unique unprecedented bilateral cooperation in subsequent decades.